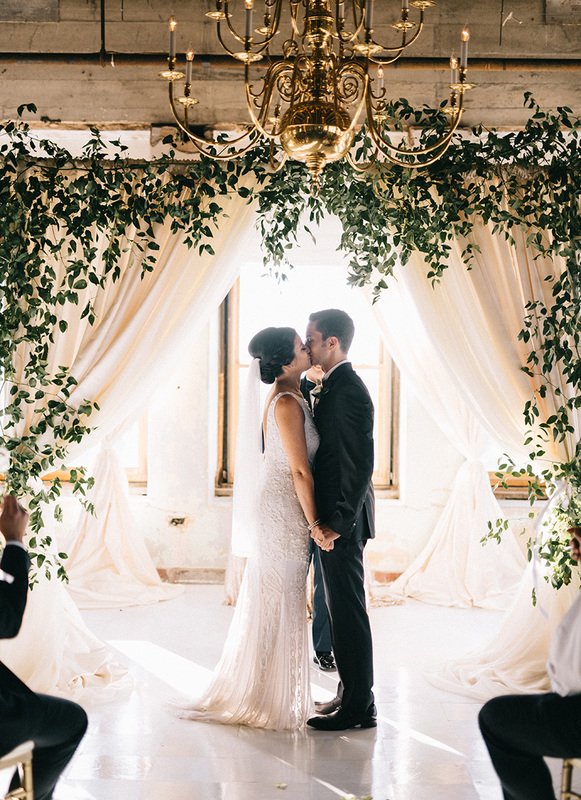 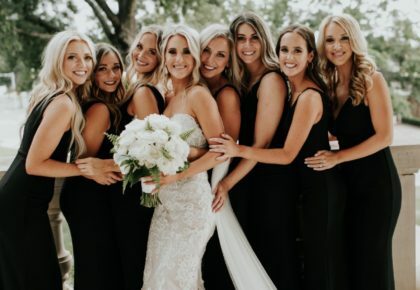 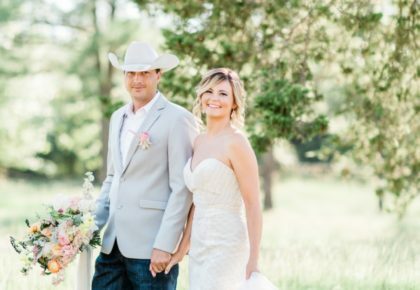 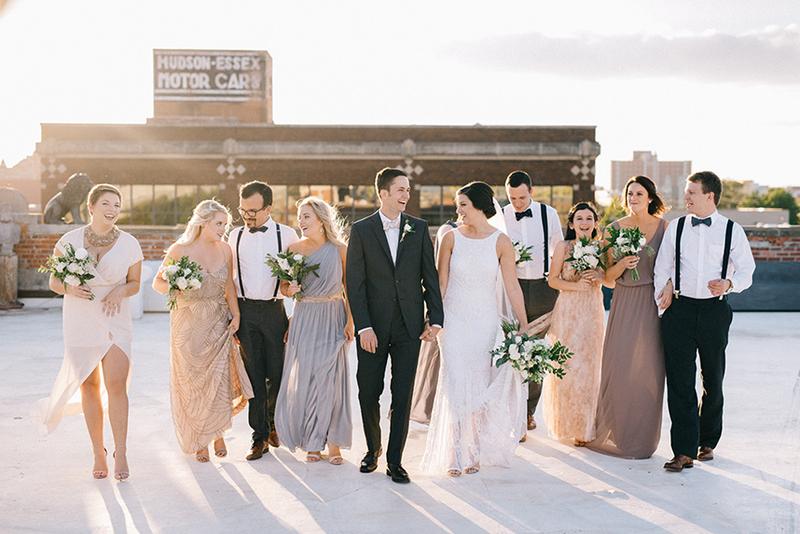 It was important to Emily and Matt that their wedding express their unique personalities, and the team at Leslie Herring Events stopped at nothing to give them just that! 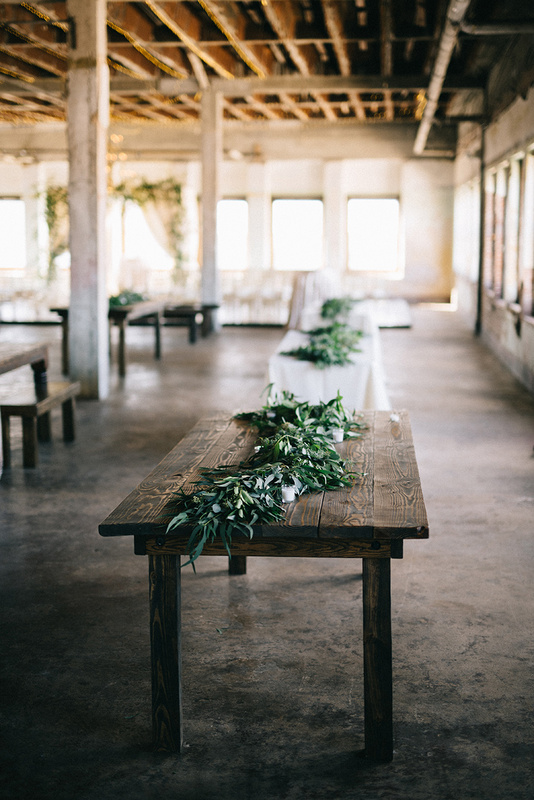 From gorgeously distressed tables to elegantly neutral seating arrangements, Mood Party Rentals did an incredible job of setting the scene for this couple’s special day for their rentals. 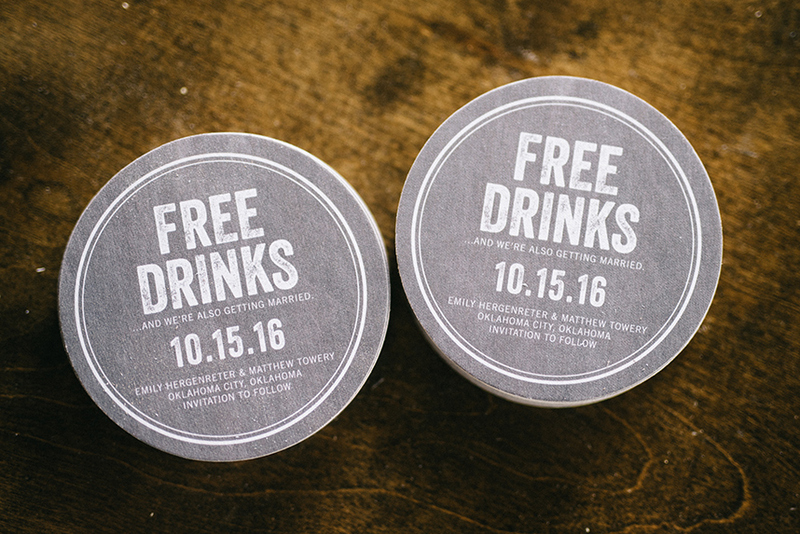 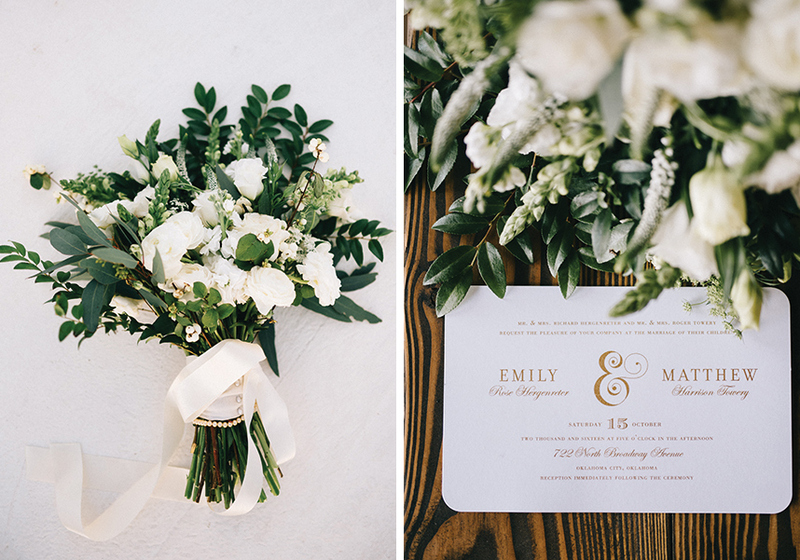 Clean and classic invitations from Paper + More set the tone for Emily and Matt’s industrial chic celebration. 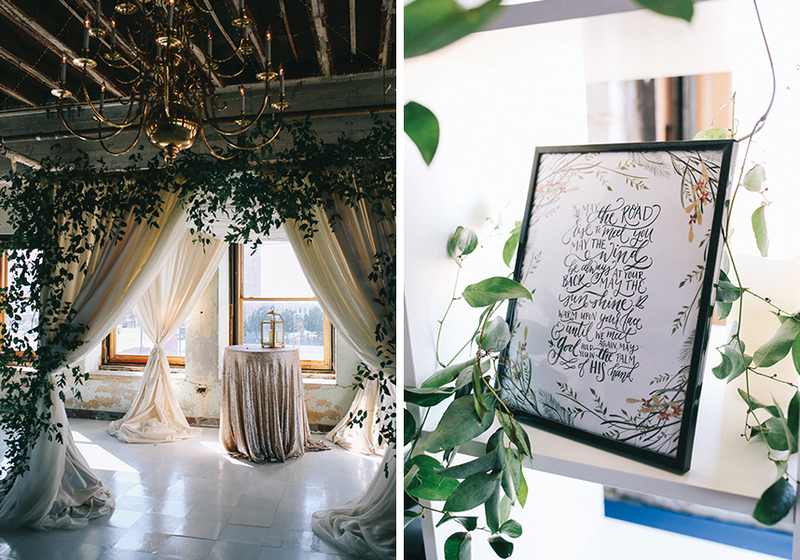 Beautiful fresh blooms from Poppy Lane Design added a soft touch to this wedding’s warehouse-like venue with hues of ivory and lush greens. 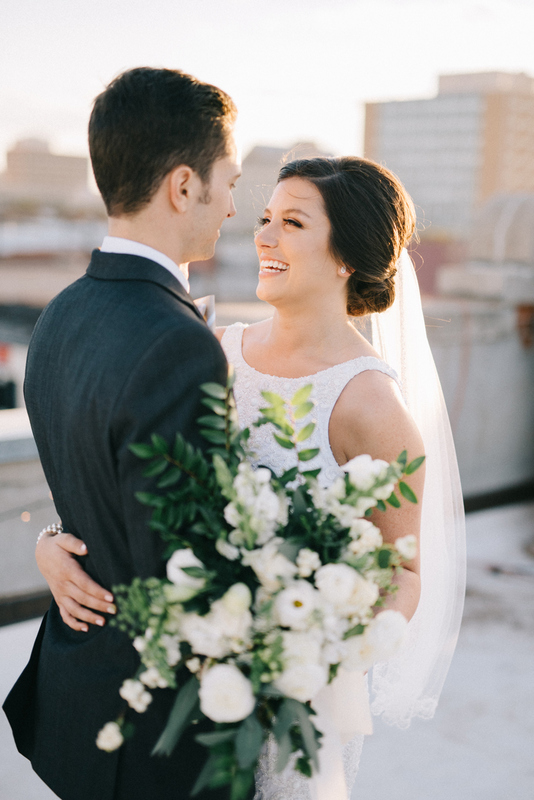 Emily looked stunning in her beaded, form-fitting gown from J.J. Kelly Bridal Salon and gorgeous up-do from Blo. 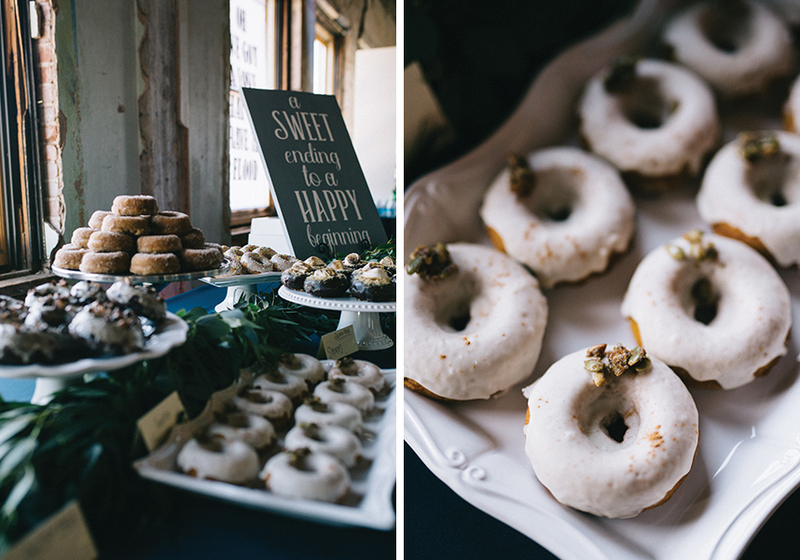 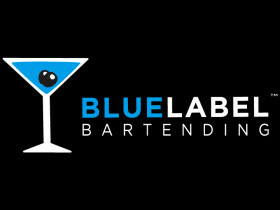 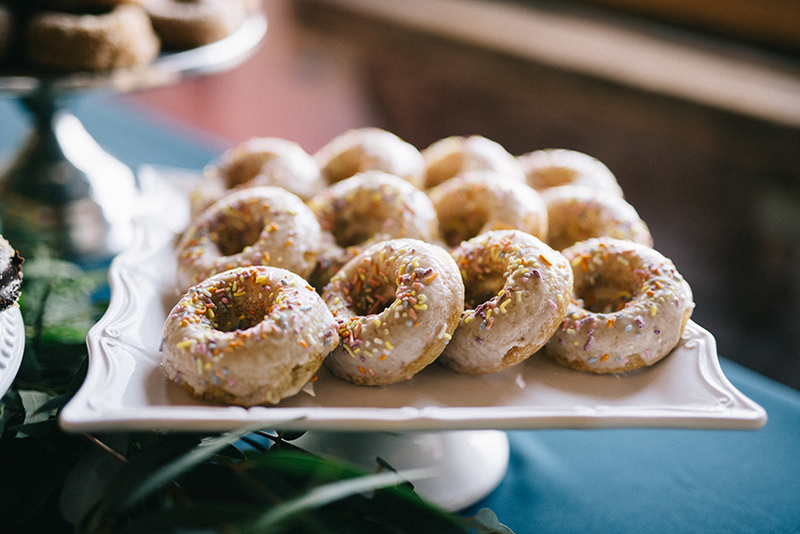 Guests enjoyed pizza and doughnuts at the reception with drinks from Blue Label Bartending while they danced the night away to the musical stylings of Zach Downing Entertainment. 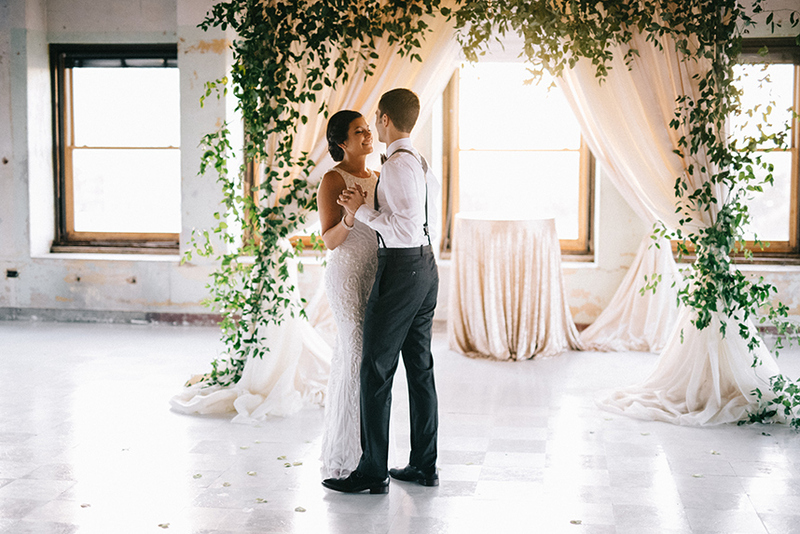 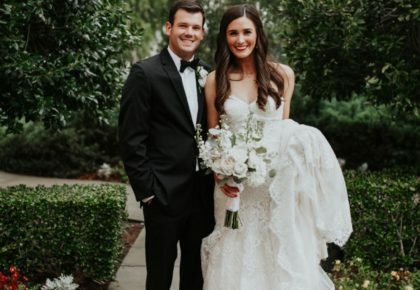 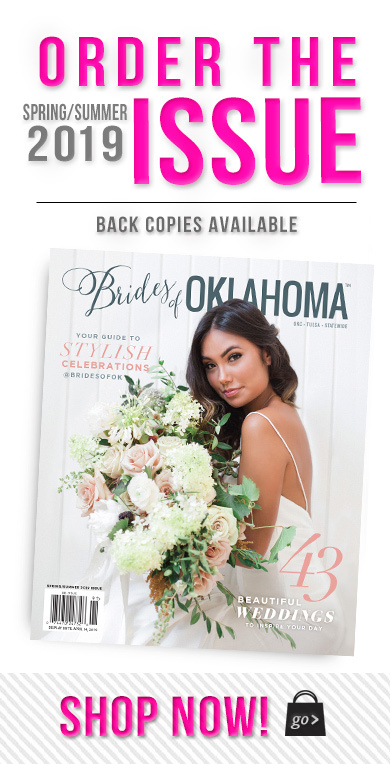 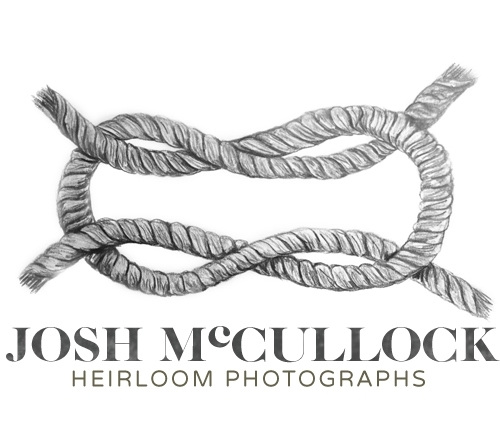 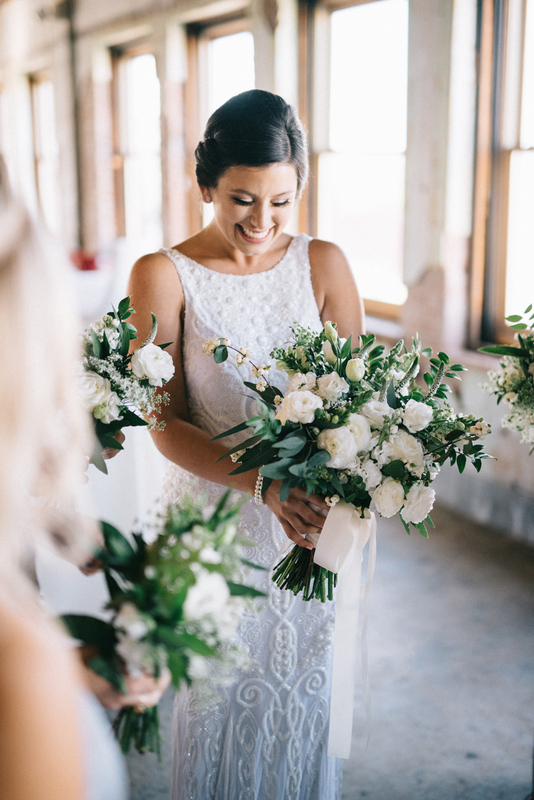 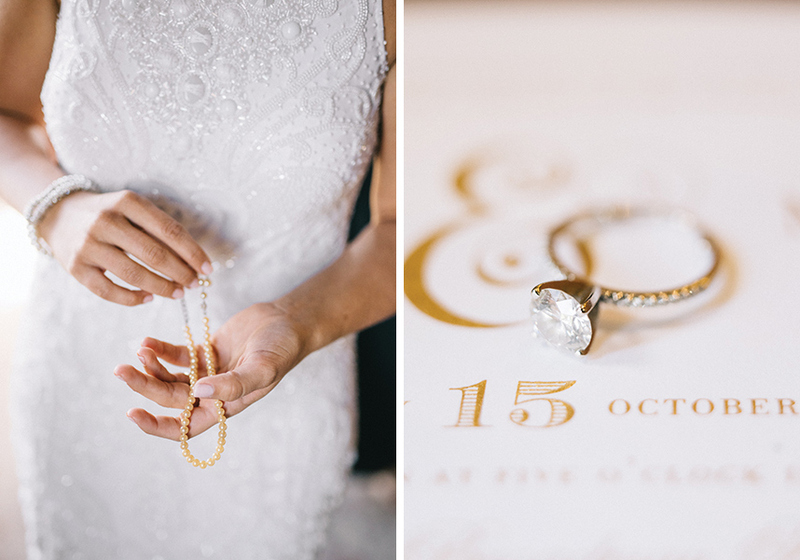 Josh McCullock Photography did a beautiful job of capturing every exquisite detail of this breathtaking wedding, and Dewberry Cinema filmed the seriously stunning wedding highlight video below. 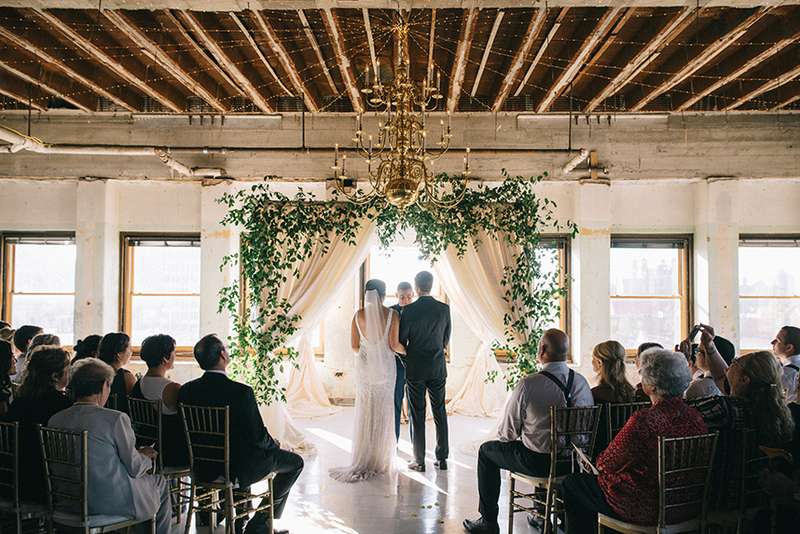 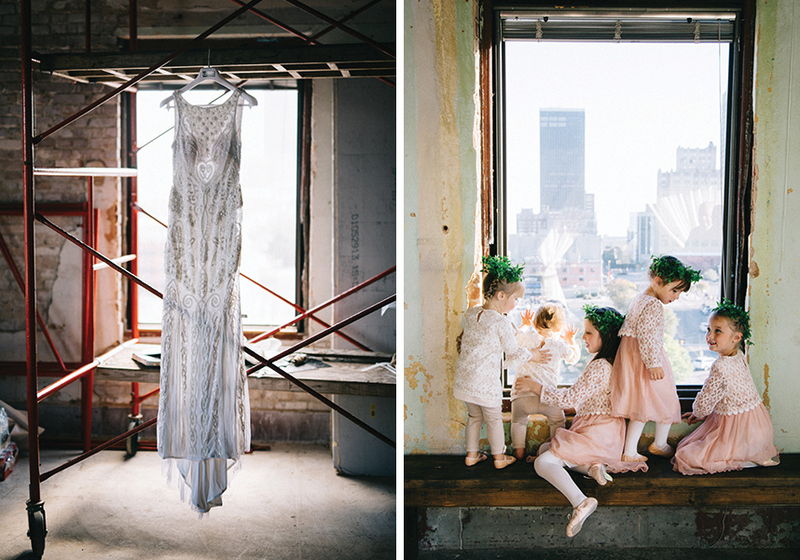 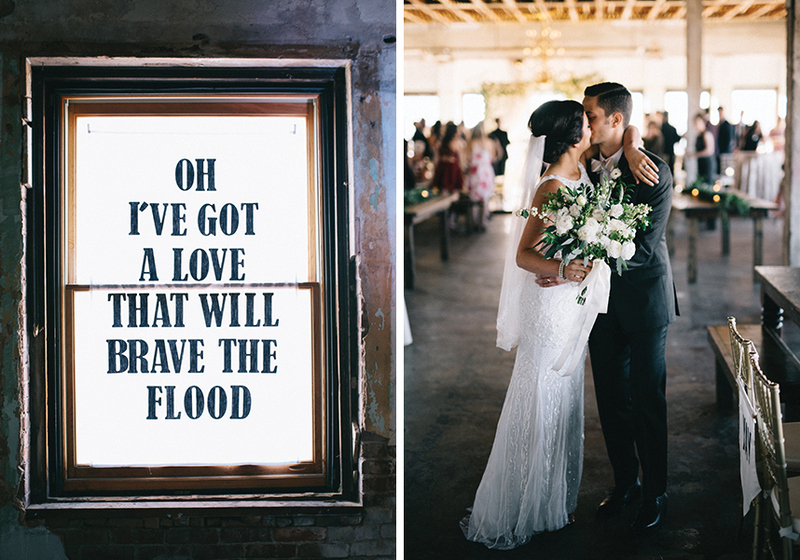 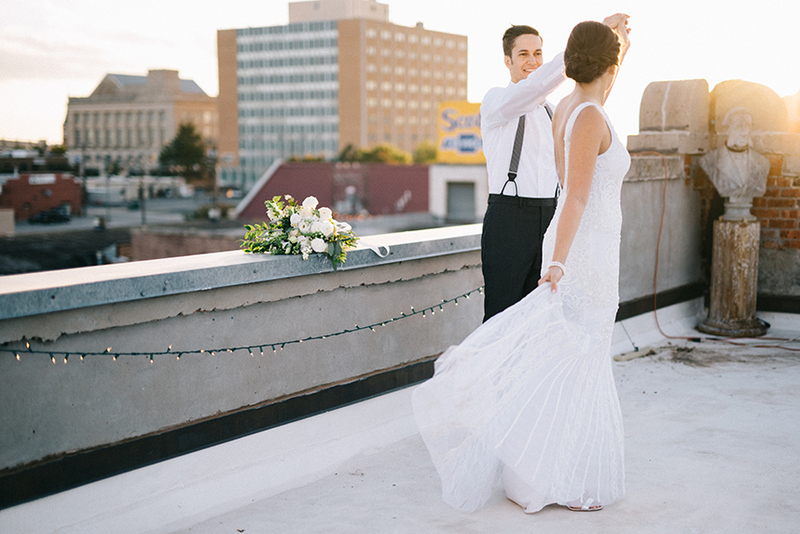 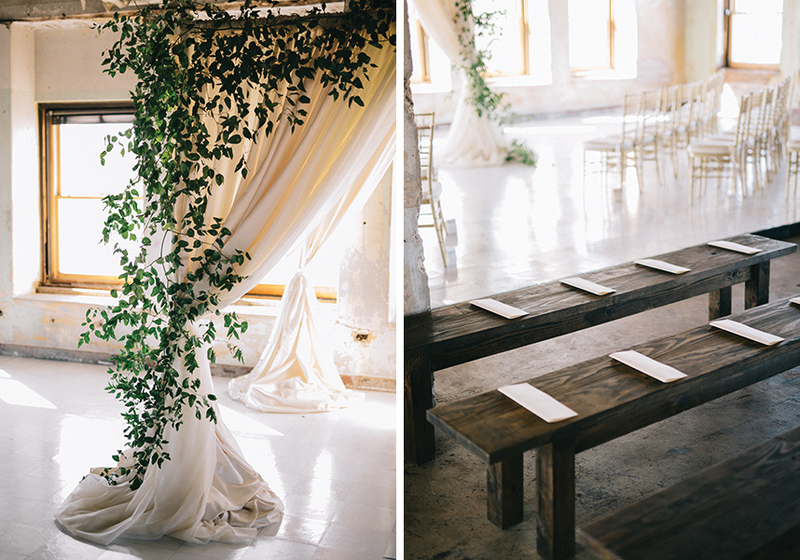 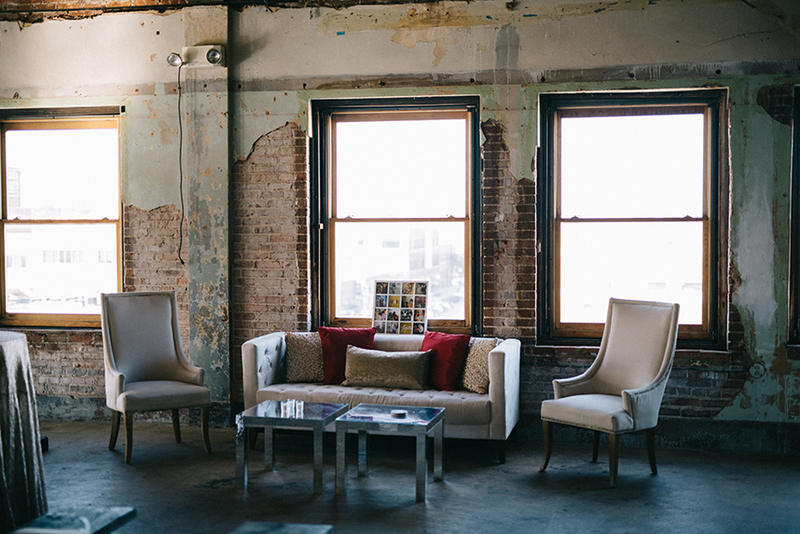 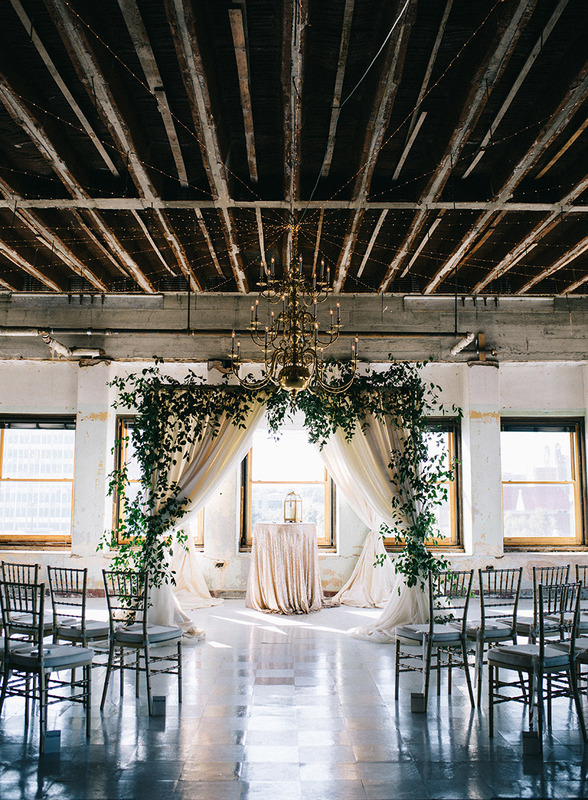 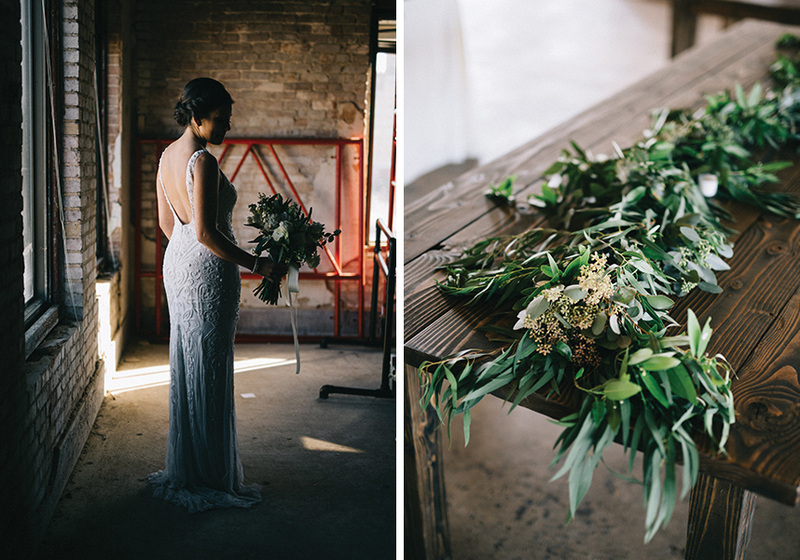 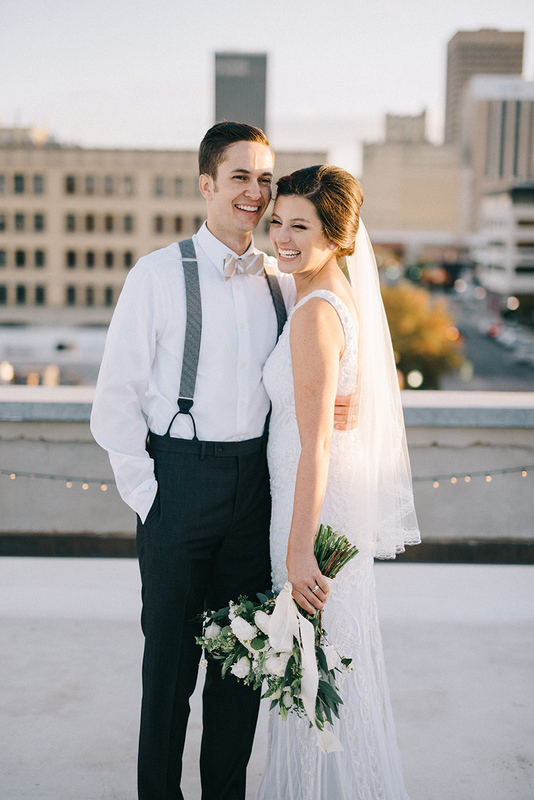 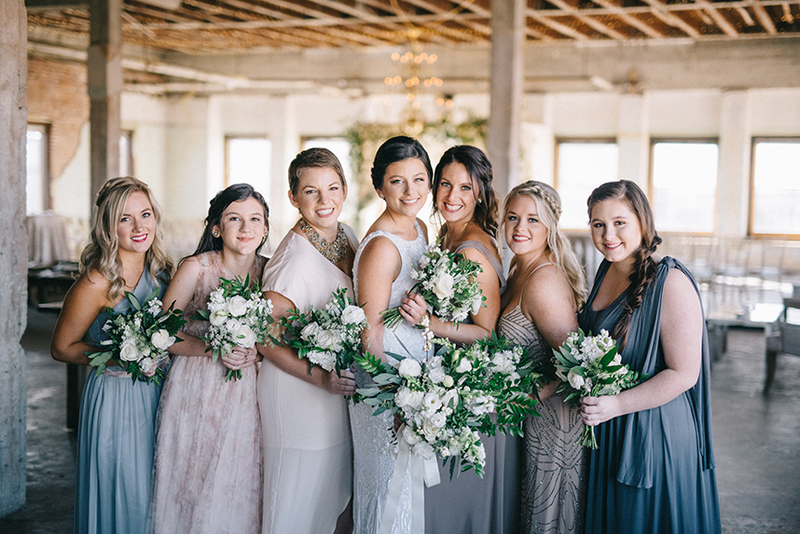 We can’t get enough of these industrial chic nuptials!